ANNAPOLIS, MD – Governor Larry Hogan today signed Executive Order 01.01.2017.23 declaring October as Disability Employment Awareness Month in Maryland. The month will be used to highlight the immense contributions made by workers with disabilities and the increased economic strength gained through an inclusive workforce. To highlight this newly designated month, Lt. Governor Boyd Rutherford today presented citations to several employers who have a history of hiring an inclusive workforce, including those with disabilities. 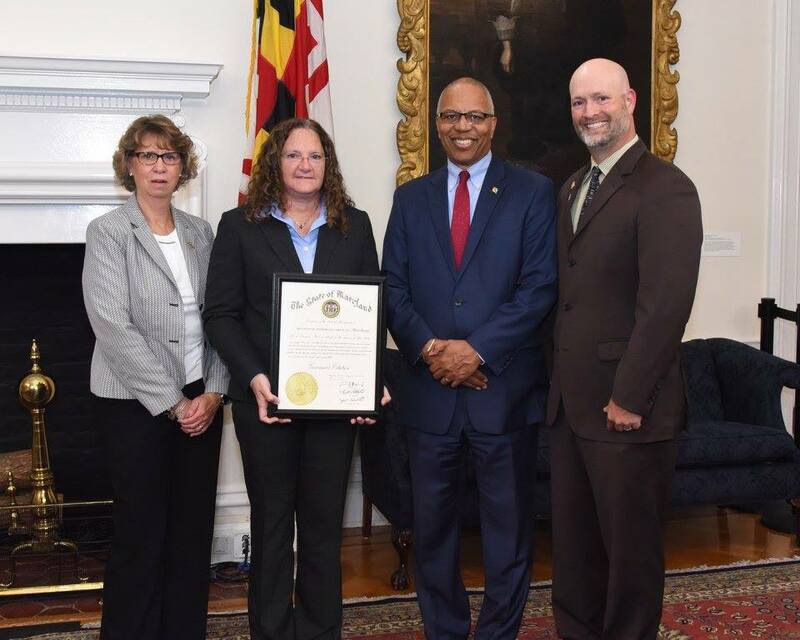 Under the executive order, the Maryland Department of Disabilities will initiate a public awareness campaign and partner with local jurisdictions to further strengthen this vital workforce. Additionally, the campaign will provide information to potential employers on the benefits of hiring workers with disabilities. The executive order also establishes an accessibility coordinator within state government. The accessibility coordinator will provide technical assistance to ensure state agency communication efforts adhere to accessibility best practices in an efficient and cost effective manner. This technical assistance will also allow state government to continue as a model employer for those with disabilities and offer support for Maryland businesses hoping to strengthen their communication accessibility. L to R: Maryland Department of Disabilities Secretary Carol Beatty, Gina D’Amore of Mid-Atlantic Interpreting Group, Lt. Governor Boyd Rutherford, and Director Kelby Brick. Mid-Atlantic Interpreting Group is a Deaf-owned and operated business.